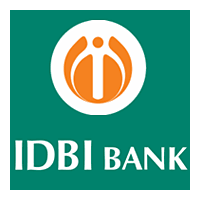 IDBI (Industrial Development Bank of India) invites applications from candidates interested in Banking Sector to recruit 515 Assistant Manager in the IDBI Bank. The eligible candidates who are interested to apply online for IDBI Bank Assistant Manager Recruitment 2019 can check out the notification related details like Exam dates, eligibility criteria, vacancies, and selection process mentioned below. It means a candidate must have been born not earlier than 02.03.1991 and not later than 01.03.1998 (both dates inclusive). There is age relaxation of 5 years for SC/ST Candidates, 3 years for OBC Candidates and 10 years age relaxation for Persons with benchmark disabilities. An applicant must be a Graduate in any discipline from a recognized university or any equivalent qualification recognized as such by the Central Government with a minimum 60% marks. It is 55% for SC/ST/PWD candidates. The cut-off date is 01st March 2019 for education qualification eligibility. The candidate must possess a valid Mark-sheet / Degree Certificate that he/ she is a graduate on the day he/she registers and indicate the percentage of marks obtained in Graduation while registering online. Those who are in the final year of their Graduation/ Semester may also apply provisionally subject to the condition that, if called for the interview, they will have to produce proof of having passed the graduation examination on or before 15.04.2019 (last date for online registration). Candidates are expected to have proficiency in computers. The IDBI Assistant Manager Selection Process will comprise of Online Test followed by Personal interview. For each wrong answer marked by the candidate, one fourth or 0.25 of the marks assigned to that question will be deducted as penalty to arrive at the corrected score.